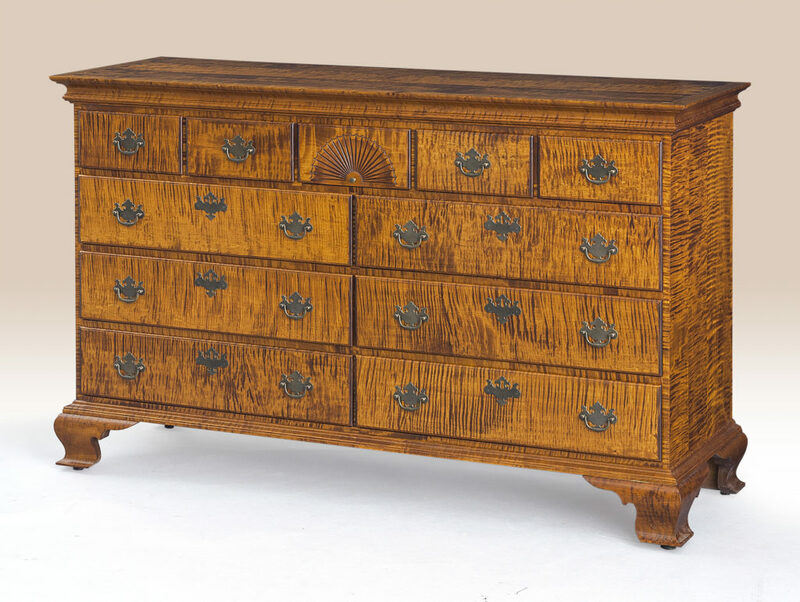 The New York Dresser is a new bedroom piece we started to offer. It is available in tiger maple or cherry wood. It has a Chippendale style design. If coming to our Lititz, PA showroom to see a certain piece make sure to call first. We have a constantly changing in inventory. Most people like to save on shipping so they pick up at the store. Make sure to bring packing pads and tie downs. Items can also be shipped.